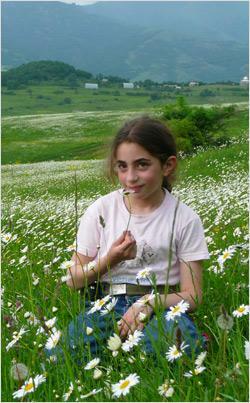 WHERE ARE THE MERCURY EMISSIONS IN ARMENIA? 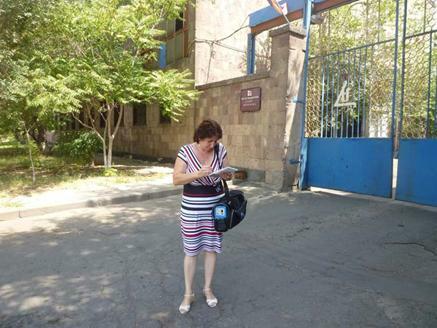 During summer 2012, the Armenian Women for Health and Healthy Environment (AWHHE) conducted snapshot air tests at 9 sites across Yerevan and the regions of Kotayk and Gegharkunik to gather and analyze information on potential mercury exposure. The air testing in Armenia was supported by the European Environmental Bureau/Zero Mercury Working Group as part of its worldwide effort to raise awareness about the need for a strong, legally binding global instrument on mercury. Now that the Mercury Treaty is adopted, experiences from this project should be considered, for a quick country ratification and eventual implementation of the treaty measures. 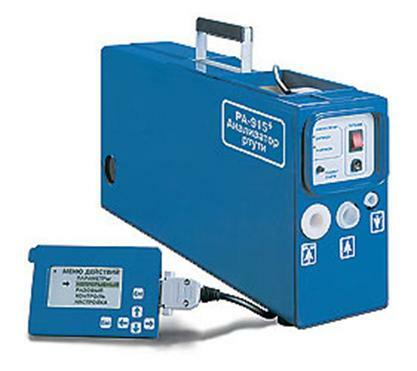 Mercury vapor concentration in ambient air and in the air of residential quarters was measured with the use of a portable mercury monitoring instrument – Lumex. The measurement results showed that some tests exceeded the threshold of 300 ng/m3, which the Ministry of Health considers safe. One of the major sources of atmospheric mercury emissions is non-ferrous metal production where mercury is produced as a byproduct of processing ore in mining. If trace mercury is not removed during processing, one plant may emit tonnes of mercury. Such facility should be equipped with demercurization technologies. Metal is generally extracted from the ore by heating it to a temperature that releases the metal. As mercury has a lower boiling point than many other metals, the mercury is often released as a gas during smelting process. Unless the mercury is captured by process equipment dedicated to this purpose, much of it will be released to the air, water and soil. The Maqur Yerkat smelter is the leading enterprise in Yerevan processing copper-molybdenum ore concentrates extracted from Kajaran and other mines in the South of Armenia. The major pathways for mercury releases during initial processing for copper and molybdenum include air, water, soil, wastes/residues, and eventually certain products. Following the purchase of the Makur Yerkat smelter by the German Cronimet Metals Group (75% of the stocks), production levels have significantly increased. The measurements taken near the Smelter averaged 500 ng/m3 with single measurement going up to 1500 ng/m3 which exceeds the permissible level of 300 ng/m3 by three times. 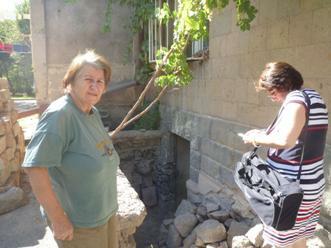 Given the fact that residents sometimes keep discarded products that have come out of the use in the basements before disposal, AWHHE measured levels of mercury in one of the residential areas of Yerevan, at 3 Alikhanyan Street. Background mercury pollution near the building varied within 0-2 ng/m3 level. On the top of the staircases to the basements, mercury air pollution was 2 ng/m3; down the stairs the mercury level increased to 6 ng/ m3 reaching the maximum level of 150 ng/m3 at the cellar doors. At the opening of the cellar door, the measurement reached 240 ng/m3. 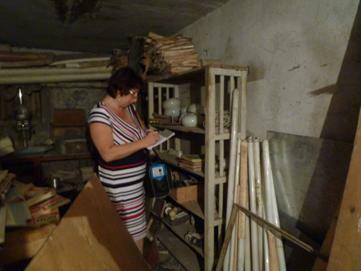 Inside the cellar, the level increased reaching 1470 ng/m3 at the shelves where broken fluorescent lamps were found, kept there for a number of years. The residents were surprised to find out that the fluorescent lamps were the source of air pollution. Although the level of mercury in the 2nd floor apartments was low (2-3 ng/m3), presumably due to good isolation, the polluted air could easily enter the apartment through the open door or windows while “airing” the rooms. 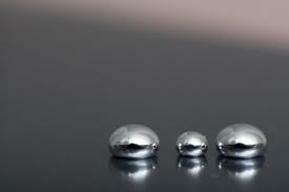 Mercury is toxic in all its forms, as a potent neurotoxin it is particularly dangerous for pregnant women and children. Once released into the environment, mercury becomes part of bio-geochemical cycle contaminating soil, air, groundwater and surface water where it accumulates and moves up the food chain. Toxic mercury is especially dangerous to the health of young women, children and developing fetuses. Even in low doses, mercury may affect a child’s development, delaying walking and talking, shortening attention span and causing learning disabilities. Breathing air polluted with mercury is among the most common ways for exposure to this toxic chemical.